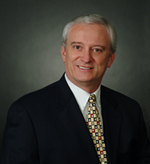 Irv Williamson is the founder of Growth Guidance Solutions LLC. He has over thirty years of financial management experience that include start-ups and Fortune 50 companies in manufacturing, distribution, service, building materials, wireless, medical devices, hi-tech, and construction industries. Irv has served in the capacity of Chief Financial Officer for a number of companies including International Imaging Electronics, Globe Building Materials, Recognition Source LLC, Technology Alternatives, and Eastwood Stein. Over the past 25 years he has developed a passion to help entrepreneurial businesses grow. Through his experience, Irv has learned that small to mid-sized businesses have limited access to executive and advisory services suitable for their stage of development. By working with a company on a part-time basis, Irv provides the necessary financial oversight, management participation, and financial expertise at a fraction of the cost of a full time controller. In the course of building and managing business, Irv has completed numerous debt and equity financings, participated in organizational and financial restructuring, implemented several ERP systems, implemented comprehensive strategic and business plans, developed value added incentive programs, and spearheaded employee leadership programs. Irv holds a Bachelor of Science in Accounting from Indiana University.